When heading to Nashville, I think of the Old Ryman when I think Nashville fixture. On this last recent visit I even heard a father tell his daughter is in reverent tones that the Ryman is called, “The Mother Church of Country Music”. 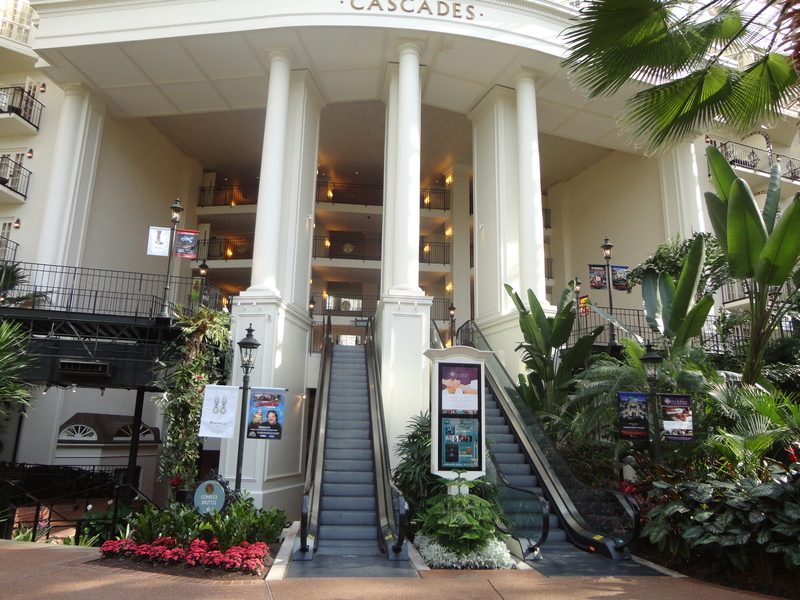 While it was true that the Ryman was the focus for his daughter, it was another, newer structure that my daughter recalled with fondness and wanted to revisit, the Gaylord Opryland Hotel. “I haven’t been there since I was ten,” she commented on a recent friend and family trek. Her memories surrounded mostly the atrium area where we had visited around Christmas time when passing through and stopping to see the family Nashville cousins. Since that time many changes and expansions have taken place. You now have to pay to park and almost need a map to find your way from one end to the other, but the beauty and the magic that made my daughter recall the hotel in all is grandeur is still there. After going through the hotel then gander over to the Grand Ole Opry and take a tour there as well. You never know who you might see; Nashville is after all, the home of country music and its stars! Previous Post: The Museum of Westward Expansion gets harry! Votre site web est tres agreable a regarder. Les atricles sont tres interessant.